Speculum 84/1 (January 2009): 183-184. (Oxford: Oxford University Press, forthcoming 2018). ‘The Politics of Burgundian Romanesque: Demolition and Construction in Cluny and Mâcon during the nineteenth century,’ in: J. M. Mancini and Keith Bresnahan, eds., Architecture and armed conflict: the politics of destruction (Abingdon: Routledge, 2015), 165-181. 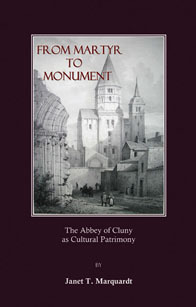 ‘Du martyr au monument : les reconstructions romantiques,’ in: Didier Méhu, ed., Cluny après Cluny. Constructions, reconstructions, commémorations 1790-2010 (Rennes: Presses universitaires, 2013), 199-220. 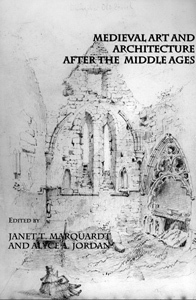 ‘Celebrating the Medieval Past in Modern Cluny: How popular events helped shape collective memory for a small French town,’ in: Elma Brenner, Meredith Cohen and Mary Franklin-Brown, eds., Memory and Commemoration in Medieval Culture (Aldershot: Ashgate, 2013), 299-320. 'Françoise Henry,’ Grove Encyclopedia of Medieval Art (New York: Oxford University Press, 2012), vol. 3, p. 300. “La vision et l’approche de Kenneth John Conant,” Histoire: antique et médiévale 30 (April 2012), 50-51. 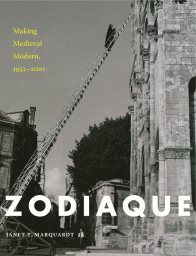 "The Zodiaque Collection of Books on Medieval Art/La Collection Zodiaque d’ouvrages sur l’art medieval," International Center for Medieval Art on-line member exhibitions (June 2010). "La Pierre-qui-Vire and Zodiaque: A Monastic Pilgrimage of Medieval Dimensions" Peregrinations II, no. 3/4, SU 2009. "Recent Paintings by Sarah Lamb" catalog essay for Spanierman Gallery exhibition (New York City) October 10 - November 15, 2008. "Recent Paintings by Kate Lehman and Sarah Lamb," catalog essay for Spanierman Gallery exhibition (New York City) March 1-April 1, 2006. “Un Romantique à la recherche du passé: K. J. Conant à Cluny," Cahiers de civilisation médiévale (Poitiers) 48 (2005), 327-340. "First Projects: The Medieval Academy's Support of K.J. Conant's Cluny" Medieval Academy of America website feature article (2004-2005). "New Frayed Edges: Anne Wilson", and "Donna Sharrett's Momentos" and "Toni Hambleton: Silent Spaces,"Woman's Art Journal 23:2 (Fall2002/Winter 2003). "Excavating Memory: Diane Elmeer's Recent Paintings" and "Secrets: Kathleen Browne's Revealing Jewelry" Woman's Art Journal 22:2 (Fall 2001/Winter 2002). "B(l)ack Talk: African-American Women's Confrontational Art", exposure 33: 1/2 (Winter, 2000-2001). "The People of Notre-Dame," Columbia University web site Notre-Dame de Paris 1998. 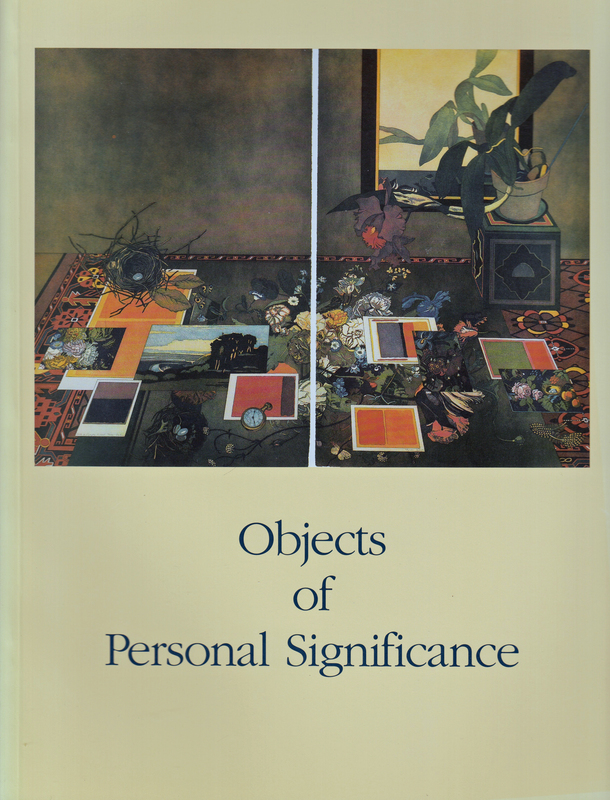 Objects of Personal Significance: Still Life by Women Artists catalog for national traveling exhibition with nine venues curated with Mid America Arts Alliance/Exhibits USA September 1996-December 1998. Nothing Overlooked: Women Paint Still Life. Essay for exhibition catalog, Contemporary Realist Gallery, San Francisco, CA, January, 1995. "Katja Oxman: Working in the Tradition of the Woman Artist" Woman's Art Journal 15/1 (Sp/Su1994), 23-27. "Rethinking the Cultural Context of Foundations" F.A.T.E. Journal , 16 (1993/94), 16-19. "King David In Germany: Royal Traditions at Pruem" Essays in Medieval Studies: Proceedings of the Illinois Medieval Association, 9 (1992), 41-54. Editor, Essays in Medieval Studies: Proceedings of the Illinois Medieval Association, 7 (1990). "Ascension Sunday in Tropers: Innovative Scenes in the Pruem and Canterbury Tropers and Their Relationship to the Accompanying Texts", Proceedings of the Illinois Medieval Association, 6 (1989), 68-80. "Ottonian Imperial Saints in the Pruem Troper" Manuscripta, 33 (1989), 129-136. "Visual Reference Works for Producers" Medieval Music-Drama News (Kalamazoo) I/1 (Wtr 1982), 5-6. "The Original Significance of the Gunzo Legend at Cluny" Comitatus: A Journal of Medieval and Renaissance Studies 9 (1978), 55-62. 'Françoise Henry: The French historienne who loved Ireland,' Peoria Fine Arts Society, Peoria, IL, 10 March 2016. 'The Ruined Abbey: Romantic Memory and French Patrimony at Cluny,' lecture in Castles, Cloisters, Cathedrals course, Dartmouth College, 5 November 2015. 'Making Medieval Modern: The The Evocative Zodiaque Photographs and their Legacy,' lecture in Five College Medieval Studies Seminar and book launch, University of Massachusetts-Amherst, 3 November 2015. 'Making Medieval Modern: The The Evocative Zodiaque Photographs and their Legacy,' lecture and book launch, University of Pittsburgh, 20 October 2015. 'Making Medieval Modern: The The Evocative Zodiaque Photographs and their Legacy,' lecture and book launch, Real Colegio Complutense, Harvard University, 9 October 2015. ‘Revival and Restoration in the Nineteenth Century: The Case of Notre-Dame de Paris,’ Art Department, Smith College. 26 February, 2015. 'How We (think we) Know the Past,’ History of Art and Architecture Department, University of Massachusetts-Amherst, 3 December 2014. 'Lettres d'Europe: La correspondance de Conant pendant la première guerre mondiale' Inauguration du Centre de recherche "Espace Kenneth John Conant" de Cluny, 28 Septembre 2013. ‘Making Medieval Modern: Françoise Henry and the Zodiaque art book series,' Seminar session for Instituto de Historia, Consejo Superior de Investigaciones Científicas, University of Madrid, 19 June 2013. 'Making Medieval Modern,’ Carpenter Annual Endowed Lecture, Colby College, 29 November 2012. 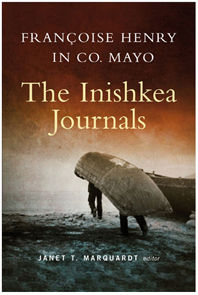 ‘Françoise Henry in Co. Mayo,’ Royal Irish Academy, Dublin, September 5, 2012 and Áras Inis Gluaire, Belmullet (Ireland), September 6, 2012. 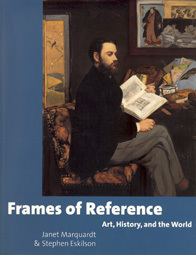 ‘Françoise Henry et les arts irlandais,’ in L'Historiographie française de l'art, Institut national d'histoire de l'art (INHA), Paris, November 21, 2011. ‘An Early Medieval Manuscript with Miniature Paintings that Illustrate Its Unique Text’ American Association of University Professionals Annual Lecture, Eastern Illinois University. March 15, 1987. ‘Françoise Henry’s observations in County Mayo,’ in Françoise Henry, French art historian of Irish medieval art, International Meeting of The American Conference for Irish Studies in New Orleans, Louisiana, March 17, 2012. ‘Study Abroad in New York, London, and Paris 2000,’ International Programs Tea, Eastern Illinois University. November 29, 2000. Seeing Double: Texts And Images Shaping The Past, Special session co-organized with Véronique Plesch for the International Congress on Medieval Studies at Western Michigan University and sponsored by IAWIS, May 2013. 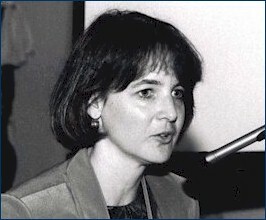 Françoise Henry, French art historian of Irish medieval art, Session organized for The International Meeting of The American Conference for Irish Studies in New Orleans, Louisiana, March 2012. Cross Disciplinary Session on Music and Art in the Middle Ages, organizer and co-chair for College Art Association annual meeting, Chicago, IL. February 13-15, 1992. Visual Images of Music: Sacred and Profane, session organized for International Congress on Medieval Studies, Western Michigan University. May 5-8, 1988. Medieval Music-Drama Rallye, Staff Art-Historian, Theatre Wagon, Staunton, Virginia. April 15-17, 1988. Visual Arts, chair of session at ‘Teaching the Middle Ages’ conference Terre Haute, Indiana. March 3-5, 1988. Medieval Liturgy, chair of session at International Congress on Medieval Studies, Western Michigan University. May 3-7, 1980. Television interview for France 3 on K.J. Conant and the Abbey of Cluny, May 14, 2010.